Deputies with the Edgefield County Sheriff’s Office responded to a home on Currytown Road, Friday, May 9, in reference to missing jewelry. According to the ECSO, a relative of the victim had lived in the home but had recently moved out. After his leaving, the victim was contacted by someone knowing the relative and notified that said relative had stolen jewelry from the residence and had taken it to Friedman’s Jewelers in Augusta to pawn. Upon this notification, the victim checked and found several pieces of her jewelry missing. 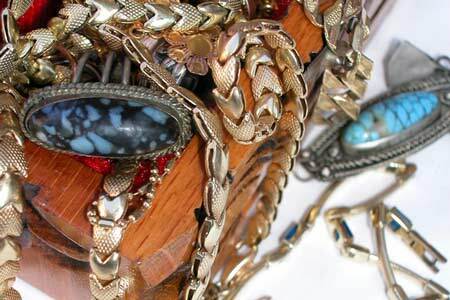 Among the items reported stolen were numerous rings, a bracelet, necklaces, and a necklace/pendent set. The suspect in this case has been arrested and charged with grand larceny. He is currently in the Columbia County (Georgia) Detention Center on other charges. He will be extradited to Edgefield County at a later date. The missing jewelry was not recovered, as the jewelers who purchased them had already melted down the pieces.